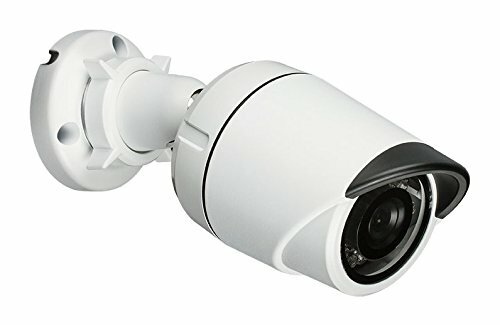 The D-Link DCS-4701E Vigilance HD Outdoor Mini Bullet Network Camera is a high definition professional surveillance camera suitable for small, medium, and large enterprises. The camera uses a high-sensitivity 1/3” megapixel progressive scan CMOS sensor with digital WDR image enhancement to deliver balanced video in varying lighting conditions. The compact rugged design makes this camera ideal for deployment in a wide variety of surveillance applications without the need for additional accessories. The DCS-4701E’s digital wide dynamic range (WDR) video enhancement gives you improved image quality in environments with uneven or difficult lighting, so you can identify subjects that are backlit or in brightly lit areas. In low-light situations, the IR cut filter automatically slides out of the way to use all available light. The DCS-4701E also has built-in IR LED illuminators with a 90 foot range, allowing the camera to keep watch even in complete darkness. These features work together to give you a reliable surveillance camera capable of monitoring an area 24 hours a day.